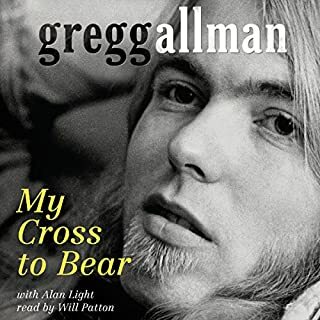 Would you consider the audio edition of My Cross to Bear to be better than the print version? yes it was great to hear. i only wish gregg himself had done the the narration. What other book might you compare My Cross to Bear to and why? all of it. heart warming stories. when gregg talked about duane and his last conversation with him. this is a must listen. i sat glued to it for 5 hours. the next 5hours was even better.the best 10 hours spent in my life so far.